New financial statements released by Stagecoach Greater Manchester show a significant increase in pre-tax profits for the financial year 2017-18. The new figures, which account for all Stagecoach services in the south of Manchester, show that pre-tax profits have increased by 14% to £17.6m. Stagecoach’s revenues also increased by almost 3% to £119.6m. Director pay appears to be steadily rising: according to the statements, the highest paid director earned £211,000 in the period ending April 2018. In 2017, this figure was £199,000, a 6% increase. Stagecoach is one of the largest bus operators in Manchester and their blue and yellow ‘Magic Buses’ are instantly recognisable to most students in the city. According to its website, Stagecoach Manchester invested £4.5 million in new buses and carried 106 million passengers in 2017/2018. The increase in profits comes after passengers faced a fare increase in the new year, in which the ‘dayrider’ ticket went up from £4.50 to £4.80 and the seven-day ‘megarider’ ticket increased from £15 to £16. 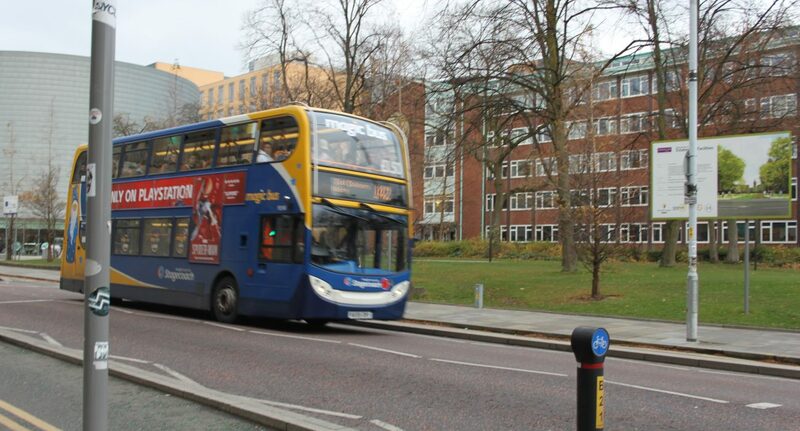 When asked by The Mancunion if Greater Manchester students were getting value for money when using Stagecoach services, a spokesperson for the company said: “Students attending the universities on Oxford Road have access to one of the most frequent bus services in the country; operating every few minutes throughout the day and with services running 24 hours a day, seven days a week. Manchester students also have the option to purchase heavily discounted tickets that are up to half the price of our usual adult fares. “Our ticket, that runs throughout an academic year, offers unlimited travel on any Stagecoach bus throughout Greater Manchester from just 83p per day, which is great value for money. Stagecoach also highlighted the fact that their own costs are rising faster than inflation and pointed to declining traffic speeds increasing wage-related costs.